Is SEO Still Relevant in 2016? If you or your organization has an online presence, chances are that you have heard of SEO. SEO is the set of strategies that a website employs in order to rank high on Google or another major search engine. You may also have heard of people questioning the value of SEO and wondering whether it is dead and irrelevant. That probably stopped you in your tracks if you were thinking of investing in it. Google may not tell us exactly how its algorithms are ranking websites, or exactly what counts as ‘quality’, but it is still ranking. Just run a search and see for yourself. Google has a set of guidelines for websites on how to implement good practices that will increase their ranking. This is for anyone who says SEO has lost relevance, because mobile apps are taking over. The question is how do users reach your mobile apps? Through your website of course! This brings us back to the importance of trying to achieve a high rank for your website on search engines so that users find you and are able to download your mobile app. SEO cannot become irrelevant as long as search engines remain relevant. Google processes 3.5 billion searches a day and that figure is growing everyday now that so many people are using their mobile phones to access the internet. The world is literally in our hands. The greater the number of people using the internet, the greater the number of people that will use a search engine to get to the information they need. It is a fact that the number of people who reach companies through organic searches is far greater than those who reach them through emails and social media marketing. So anyone looking to attract online traffic should invest in SEO. In a world where there has been an information explosion and the mass of information continues to explode every day, how does a search engine comb through millions of websites and decide what ranks high and what ranks low? If search engines are to stay on top of their game they need to dive in and fish out high quality information and offer it to their users. And with a good website that has solid content –which is what SEO is all about anyway –you will be helping the search engine to find and index you. Whether it is a brick-and-mortar business or an online business, market conditions change all the time. Good marketers don’t give up. They adapt and the same is true for SEO. If search engines have moved beyond keywords and rank you on other factors such as longer blogs or the variety of content that you offer, you change with them. Just like you offer red velvet cupcakes, when they become the hottest selling item. When someone says that SEO has become irrelevant, it usually means the old ways are not working any longer. What has changed (evolved rather) is the set of strategies that websites now ought to be utilizing in order to rank high. SEO has had to change in order to keep up with the evolving parameters now used by search engines to rank websites and that is a good thing for both users and websites. 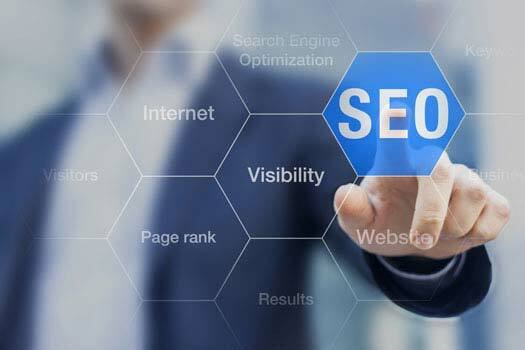 Earlier website could get away with underhanded black hat SEO strategies such as keyword stuffing and indiscriminate link building, which didn’t help the website improve its content, nor the visitor who came away disappointed with a website that spoke to the search engine, but not to him. Thankfully for users disappointed by bad or no content, search engines have upped the ante and websites now need to adapt and utilize a comprehensive list of strategies in order to rank high on search engine results. Need an SEO-friendly website? Call 858.277.1717 and learn more about our San Diego web design services.